Greg Nelson calls axing of his account "egregious"
(Newser) – Returned a few purchases on Amazon? Then take note of Greg Nelson, a computer programmer who saw his account canceled after he returned 37 of 343 items, the Guardian reports. "I could understand if there were evidence that I had somehow tried to abuse the system, but I haven't," says Nelson. He claims the returns were all justified, but Amazon UK simply axed his account and deleted any remaining gift card balance. Customers who lose their account also lose access to Amazon Prime streaming services and downloading on Kindle. "I find [Amazon's] actions in this situation totally egregious," adds Nelson, who questions whether the site can legally swipe a customer's unspent balance. This guy returned more than 10% of the items he bought. That return rate seems abusive. I agree with Amazon on this one. 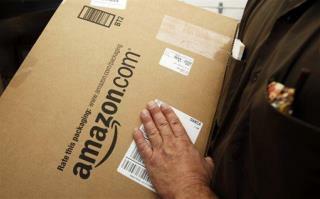 It is very costly for Amazon to process returns. We, the rest of Amazon shouldn't be made to subsidize this abuse via higher prices and seller's fees, which is exactly what happens when these abusers are allowed to persistently work the system. Amazon is too much. Its like double standard. I once ordered bulk laptops on amazon India for my TheDroidCity staff but it wasn't delivered.